Even though it is a high demand area, there are many homes for sale in 85258, 85260, Gainey Ranch, McCormick Ranch, Phoenix and Scottsdale. 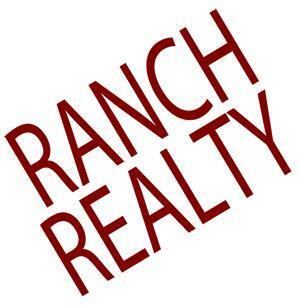 Ranch Realty can help you find the right home for your needs and preferences. They have a strong portfolio of home for sale in the greater Scottsdale area. You can use their website to find suitable homes and to prepare a shortlist. Once you have your shortlist your realtor can arrange for you to view the properties you are interested in. There are all types of homes for sale in Gainey Ranch, McCormick Ranch, Phoenix and Scottsdale. You can find townhouses, apartments, condos, free-standing homes, rental homes and more. You can find homes for $500 000 and you can find homes for $5000 000 and many in-between. Whether you are looking for a luxury home or an apartment, you will find what you are looking for. For an investment of around $3000 000 you can find a luxury home set in an elegant estate. This could be a 4-bedroom home with several bathrooms and features such as a private courtyard, a custom limestone fountain, hand-crafted cabinets, a master suite, hardwood flooring, carved limestone fireplaces, landscaped gardens and more. Maybe you need something less lavish and then you could find two level 3-bedroom home with 2 full bathrooms, master bedroom with private patio. All this for around $550 000. You can find homes for sale that are close to schools, close to shopping centers, close to public transport, or can homes 4 sale in more remote areas. Whatever you are looking for, the team at Ranch Realty can help you find it. And If you have a home for sale, they can help you sell it.